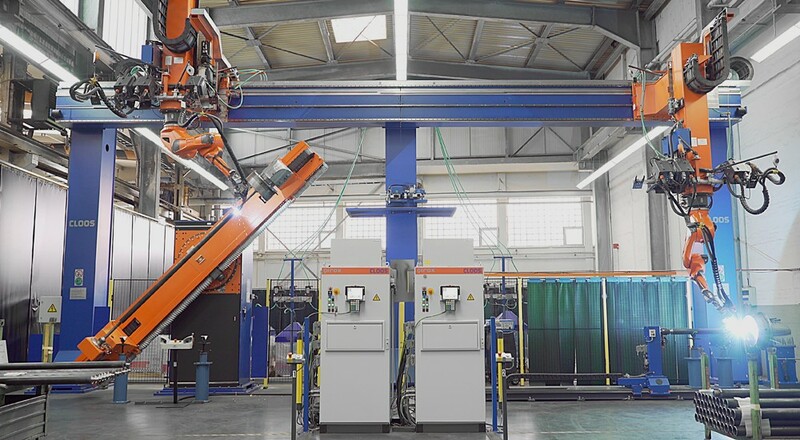 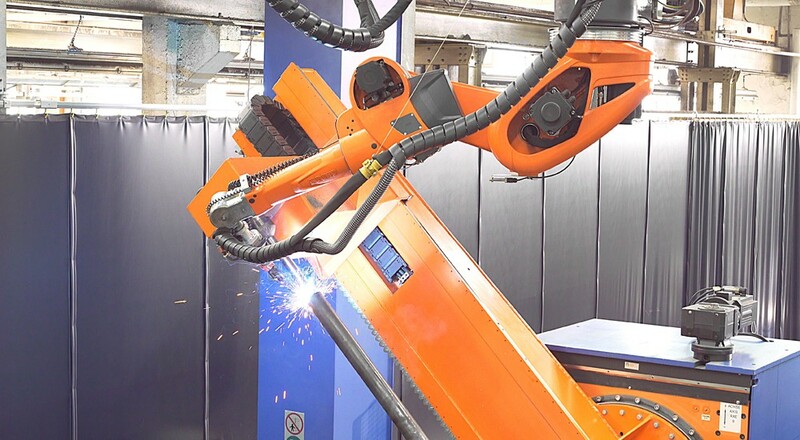 The CLOOS robot system consists of two stations: Whilst the robots at one station weld the workpiece, the person on the other side removes the welded parts and loads the devices again. 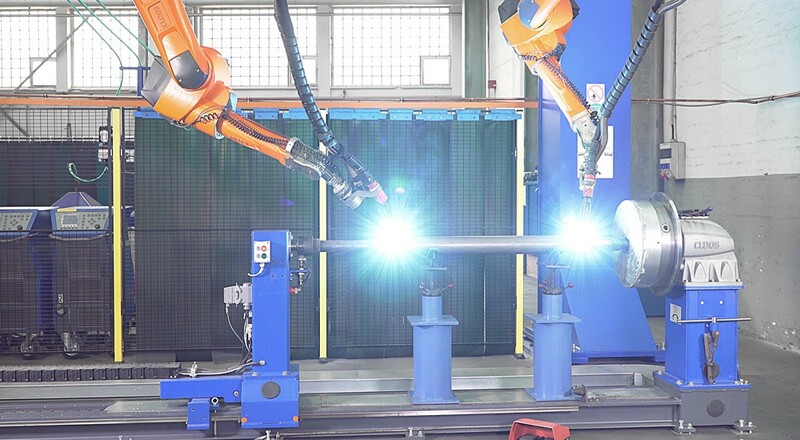 The two QRC-350 welding robots are mounted overhead to a vertical stroke and can be moved on 12 m gantry from one side to the other. Thus the robots can weld either together at one station or parallel at both station which increases the system flexibility enormously. 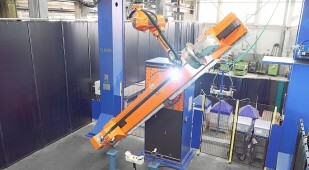 Small batch sizes or bigger series, the system can weld different roller types up to a workpiece length of 4.0 m. The welding robots are fitted with two welding torches: Whilst the bent single wire torch is used for welding small, segmented and difficult-to-reach welds, the straight tandem torch can perform long straight welds at high speed.